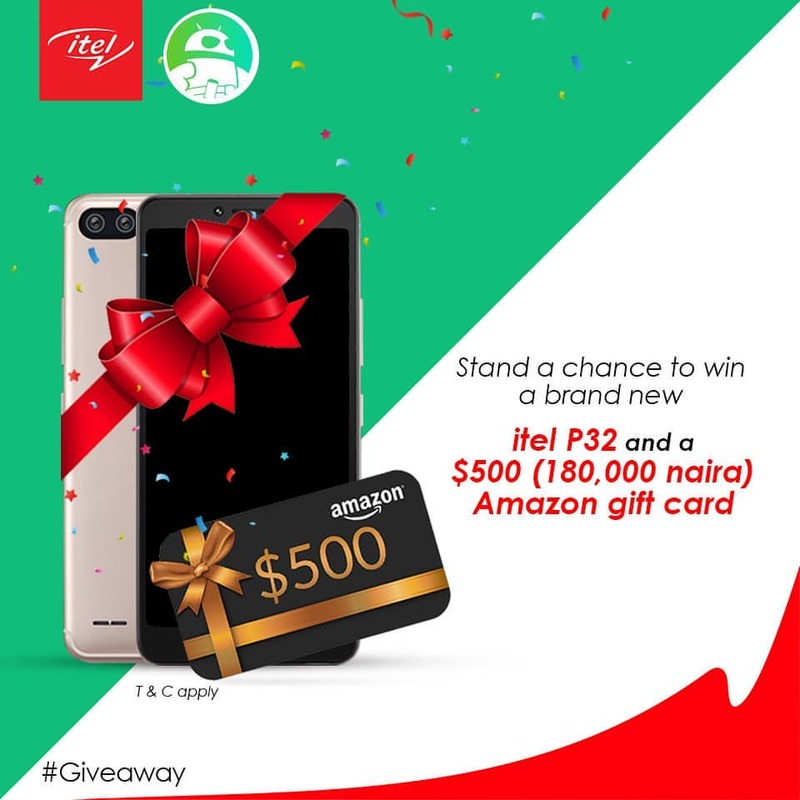 This week we are giving away a brand new itel P32 and $500 in Amazon gift cards! Smartphones that cost over $700 are great for a certain type of user, but they just don’t make sense for everyone. If you’re a student who’s tight on cash or a parent looking to get your son or daughter their first smartphone, look no further than the new itel P32. The itel P32 smartphone is as modern as they come, thanks to its 5.5-inch 18:9 aspect ratio display and rear-facing fingerprint sensor. It also has dual 5MP cameras on the back and a 5MP front-facing camera that should be perfect for your selfie-taking needs. The most impressive part of this phone by far is the battery. With its 4,000mAh built-in battery, you should be able to get up to three days of use out of a single charge. Plus, the device measures just 8.8mm thick, so there’s no need to sacrifice form over function. The best part? This phone costs just $73. No, that’s not a typo. $73 is already a super low price for what you’re getting here, and to make things even better, you can win one for free in this week’s giveaway! Can People In Nigeria Also Participate?